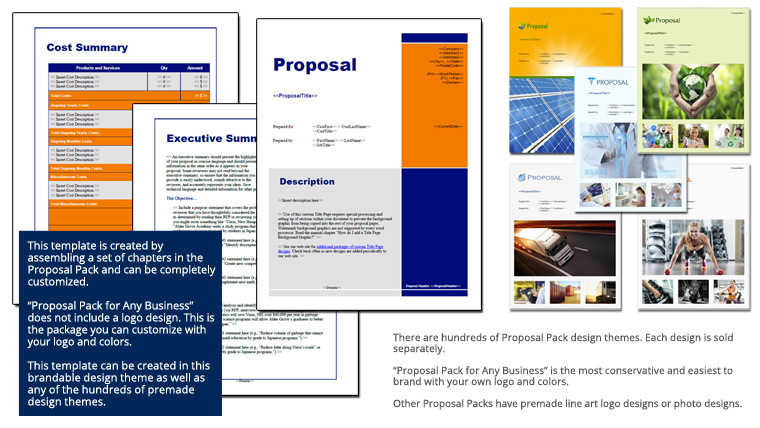 This 32 page layout is included with Proposal Pack. Create variations of this document of any length to suit your specific needs. Order and download for $79. This set of templates creates a comprehensive company strategic plan for your business. Outline your key performance indicators (KPIs) and how to measure and evaluate them to help guide your company to its goals. you for making my job as a consultant so much easier. I would tell anyone to give the proposal software a try, it is worth every dollar. I recouped the cost of the proposal software back more than twenty times what it cost me. I am happy and my client is ecstatic."